Rated 5 out of 5 by EHinSF from Great game This is one of the best HOS games I've played in quite some time. 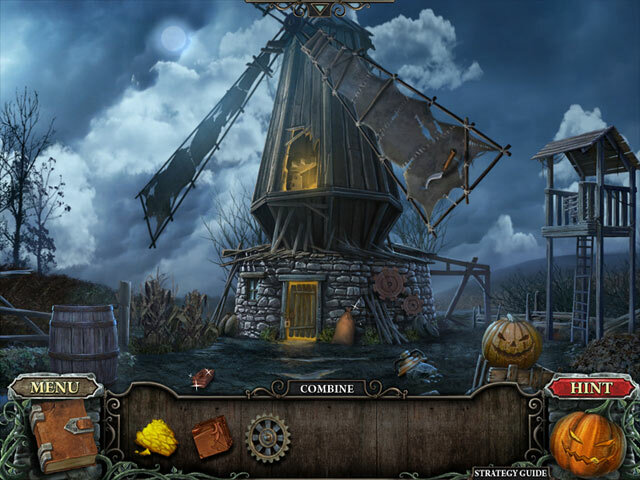 It has excellent graphics, follows the Headless Horseman legend well in an interesting and creepy story. The great thing about the hidden objects in this game is that they aren't random junk but things you'd expect to find in the place you're looking and pieces fit into the puzzle well. The HOS and mini-games aren't that hard, but I needed the hint button occasionally. I didn't need the strategy guide, because the game isn't that confusing or difficult so this didn't need to be a CE game. The game designers paid lots of attention to detail in creating the game and you can easily see it as you play the game. I only wish the game were longer. Rated 5 out of 5 by tobysue09 from Really good game! I loved the Sleepy Hollow story growing up and so this just hit the mark for me! Great graphics, storyline, music, enjoyable (not hard) games, make this a wonderful HOG. Give this one a try! Rated 5 out of 5 by karen102960 from Fantastic I loved it! This game is why I love HOG. The graphics were wonderful, the story engaging, and the music was just fine. The detail in the scenes was perfect. My only small frusteration was some of the items in the HOS were hard to see as they were hidden in the dark. Otherwise I highly enjoyed this game and look forward to more...and hopefully soon. Rated 5 out of 5 by poloarmomgloria from The Headless Horseman Love this game! Very good story and the graphics were awsome. If you love a good story lines in a game you have to try this game!!! I'm playing it for the second time around. Rated 5 out of 5 by RichardIII from awesome game! I loved this game. Graphics are better than any HOG I have seen. Sets are excellent, characters are excellent. Game play is smooth and makes sense. Hint system is great. I play on "casual" mode and I always turn the music off so I can't rate the music. Watch out for technical glitches which can be avoided (I think) by downloading the full version if you used the demo, rather than activating the demo version. If you have young children a word of caution: there are some scenes which might frighten them. Game length is good, puzzles are either very difficult, or quite easy. Good story line. Absolutely worth the buying. Rated 5 out of 5 by mephistopholes from Great HOG This is one of those games where when you start playing the demo, it's not long before you know you'll end up buying it. Based on the story of Sleepy Hollow, with the player in the role of Ichabod Crane, the game has nice graphics, good HO scenes and voiceovers and music that for once I didn't skip/mute. Minigames not too taxing and skippable in easy mode. Rated 5 out of 5 by Jem_Jerrica_Guy from As others have said, This is like the Johnny Depp movie. The ending is different, but the bonus game is worth it. 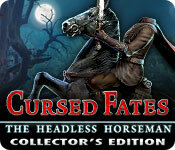 Rated 5 out of 5 by mewild58 from Cursed Fates: The Headless Horseman Collector's Edition Excellent game! Don't quite get the point of the purchase of trophies though. Rated 5 out of 5 by agbosche from Best Game So Far! I just finished playing this game. I absolutely LOVED it! Great graphics, great story line, etc. The objects were just difficult enough to find, some in dark places. Common sense gets you through most of the game. I liked the "combine" feature where you can combine accumulated items to make a useful item. I wish more games were like this one. I was disappointed when it was over. Rated 5 out of 5 by gorgeousegeorge from Fun Game The game is fun and challenging. I think you will like the game and enjoy the time playing it. Rated 5 out of 5 by cecilmo from Relaxing and fun. Great graphics. Enjoyed this game very much. Puzzles weren't so ridiculously difficult that you couldn't begin to figure out where to start. Storyline moved along very well with logical connections. Just the game for passing time in a pleasant relaxed way. Highly recommended! Rated 5 out of 5 by Recco from Worth the money. Very fun game. Excellent amount of time. Some of the searching of items was to easy. Recommend this game. Rated 5 out of 5 by pennmom36 from Whoa! Another Good One Just completed the demo and I was really becoming engrossed in the game. The storyline so far isn't bad, Clear graphics and just the right amount of HO's and puzzles which are solvable not impossible like some games. An added feature that I enjoy is searching for horseshoes throughout the game and even in HOS! This game is worth buying. Rated 5 out of 5 by mad4football from BRILLIANT GAME Well done devs. Great game and buying it having just finished the demo. Who needs live actors? In fact, it seems to me that games are much better without them. No cheesy overacting which just becomes really annoying (MCF devs take note). Love the whole story and gameplay is very enjoyable. Not too much back and forth but just enough to make the whole thing make sense. Achievements and collectibles. Perfect. Again, well done devs. More like this one please. Rated 5 out of 5 by NAVEMAN3 from Great Game. But why the horseshoes? I love this game. I beliecve it's a good adaptaion of the Tim Burtan's 'Sleepy Hollow'. My only gripe, and it's minor, is teh golden horseshoes. I worked hard on getting all 73 of them and still I couldn't by all the things in the office. I can only play the main game once but on teh bonus game I can play multipule times to get them. Still though I worked hard on find them and got a bit upset that I didn't get to buy all the items. Oh well. Like I said it's a minor gripe to a GREAT GAME!! I would recomend this game if you are or not a fan of this legend in any type. 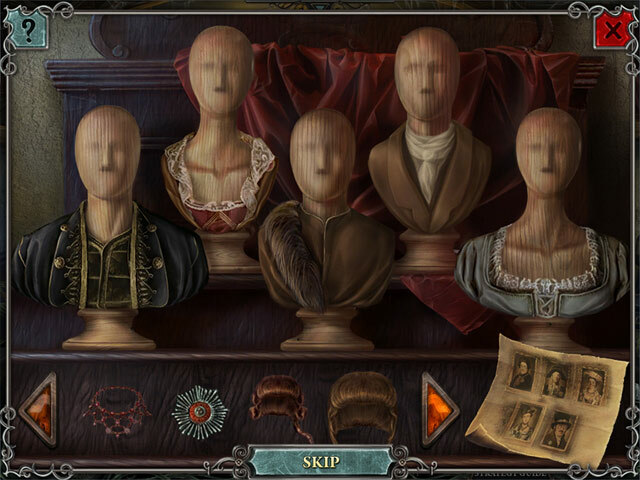 Rated 5 out of 5 by timtim135 from Don't lose your head! All bad puns aside. 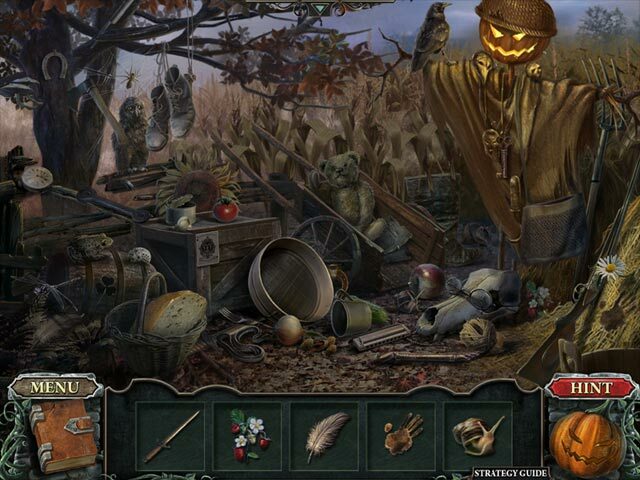 my thoughts on Cursed Fates The Headless Horseman is just a wonderfull Hidden object game! I always loved these types of mystery games. I bought this CE game yesterday for only $9.99 (new years price). Cursed Fates has it all, great storyline,graphics are well done, and the voiceovers are spot on. its great to see a new developer come out with this gem. I hope they do many more games of this type! I also like that there is achievements and trophies, and that you collect golden horseshoes along the way gives it more of a "need to play" feel. All in all i'm very happy with my purchase of Cursed Fates headless horseman. Rated 5 out of 5 by odarney from Outstanding, Very Long Playing, Well Worth the Money I have been playing Big Fish Games for 8 years, and I have to say this is one of the top 5 longest playing games. Music was very soothing and beautiful, graphics were great, but sometimes the items to be found were small and a bit hidden; good challenge. Voice overs were good. I give this game an A+. I definitely recommend this game. Rated 5 out of 5 by Eurocatcher from On of the most BEAUTIFUL games ever !! I just played the demo from this game and i must say, i'm surprised. The intro is not too short and the screen quality and voice over are very very good. i was immediately surprised by the good atmospheric music. The switching between HOS and adventure gameplay is also very good. The HOS which are in the game are not too difficult and for a person like me who doesn't like HOS or too difficult minigames is that a very important part of a game. For everyone who loves playing adventure games with less or easy HOS i would recommend this game for download RIGHT NOW !!! ENJOY !!! Rated 5 out of 5 by kelsmanly6 from great game I bought this after playing 10 minutes of demo. love the graphics and game play. Story is interesting and characters are great to interact with. Rated 5 out of 5 by jandetta from Wonderful! Really enjoyed this game, not too hard and not too easy. Just right. The graphics are awesome! I highly recommend. Rated 5 out of 5 by DiamondTiger from A Game above Expectations. I will say this game has exceeded any game I have played from BFG. The developer Fenomen Games has made a game that another developer has not matched. The graphics are above par. the music is very good. The storyline draws you in so that you want to find out what happens. I Know the story of the Headless Horseman and I enjoy how this has been presented in this game. The voiceovers are really excellent. All in All a game I highly recommend .